Only a few talent changes/tweaks. Level 100: Cataclysm now also applies Unstable Affliction for Affliction Warlocks. Level 100: Demonbolt (Demonology) damage decreased by 25%. Additionally, Demonbolt no longer deals reduced damage in PvP combat, reverting the hotfix from January 21 in Patch 6.0.3. Intellect no longer provides an increased chance to critically strike with spells. The base chance to critically strike is now 5% for all classes. There are no longer different chances to critically strike with melee, ranged, and spells. Various abilities and items will still increase crit chance. There was some early mention of a Readiness stat, which would decrease cooldown time, but that stat is now dead. In the interests of “more interesting (fun) gameplay” the Hit and Expertise stats are dead and so is Reforging. Hacking, chopping, and pruning of abilities is part of what Warlords of Draenor is about. Bliz feels that “button bloat” has gotten to be too much, so they’re going to clean things up a bit. Hopefully this will result in smoother rotations and comparable DPS. You will definitely note a change in crowd control, as Bliz has been hitting that hard, for everyone. Abilities that are just changed or otherwise restricted are below this section. Curse of Exhaustion has been removed. Curse of Enfeeblement has been removed. Curse of the Elements has been removed. Demonic Rebirth has been removed. Fel Armor has been removed and its effects have been merged into Blood Pact. Malefic Grasp has been removed. Its effects have been merged into Drain Soul, which Affliction Warlocks should use in its place. Twilight Ward has been removed. Voidwalker: Disarm has been removed. Voidlord: Disarm has been removed. Blood Horror’s cooldown has been increased to 60 seconds (up from 30 seconds) and now shares Diminishing Returns with all other Mesmerize effects. Mortal Coil now shares Diminishing Returns with all other Mesmerize effects. Felhunter: Spell Lock now only interrupts spell casting and no longer Silences the enemy. Observer: Optic Blast now only deals damage and interrupts spell casting. The ability no longer Silences the enemy. Succubus: Seduction and Shivarra: Mesmerize now have a 30-second cooldown. Terrorguard no longer casts Terrifying Roar when it dies. New: Blood Pact is a passive ability for Warlocks which grants 10% Stamina to the Warlock and all allies within 100 yards. Dark Intent now grants 5% Multistrike instead of 10% Stamina. Also, Drain Life is no longer available to Destruction Warlocks. But Harvest Life has been replaced with a new talent called Searing Flames for Destruction Warlocks. Searing Flames reduces Ember Tap’s Burning Ember cost by 50%, and increases its healing by 50%. Periodic damage and healing effects now dynamically recalculate their damage, healing, Critical chance, multipliers, and period on every tick. The “snapshotting” concept (where periodic effects take a “snapshot” of current stats, buffs, etc. and base their effect from that) is now dead. You’ll get a boosted effect for the duration of a proc, then the boost fades away when the proc does. Haste breakpoints are now dead. (Woot!!) “Haste now smoothly and accurately affects periodic effects for the entire duration.” A periodic spell will end with the last tick being a proportion of the remaining time. If 27% of the duration of a “full tick” remains when the effect ends then that last tick will hit for 27%. All of the various Soulburn effects are now learned together with Soulburn, instead of at different levels. Hand of Gul’dan no longer snares the enemy. Chaos Wave now reduces enemy movement speed by 50%. Grimoire of Supremacy pets now generates 20% more Demonic Fury. Kil’jaeden’s Cunning has been redesigned due to concerns about “moving while casting.” Kil’jaeden’s Cunning calls upon the cunning of Kil’jaeden to permit movement while casting Warlock spells. This spell may be cast while casting other spells and lasts 8 seconds with a 1-minute cooldown. Nightfall’s effects have been merged into baseline Corruption for Affliction Warlocks. Pyroclasm looks like it has been removed and its effects merged into baseline Backdraft. Healthstone‘s cooldown will now not reset until the player leaves combat. Healing from this ability is now a flat amount (instead of a % of maximum health) and can no longer be a Critical Effect. For Affliction, we’re happy with their rotation. But, Drain Soul was causing them to be too strong in situations where they had a steady supply of small creatures to kill. We reduced the effectiveness of its on-kill effect in order to solve this. Additionally, Soul Swap was changed to cost 1 Soul Shard to push it into its intended role of being a more expensive but faster method of applying your periodic damage effects, and better balance it against Haunt. Drain Soul now creates 1 Soul Shard (down from 4 Soul Shards) when the target dies. We were unsatisfied with Grimoire of Sacrifice for Demonology Warlocks. Fundamentally, it did not fit Demonology’s theme to sacrifice their pet, full time. We had toyed with ideas where it acted as a temporary cooldown for Demonology, but have decided to replace it with a new talent, which is more theme-appropriate, and fits well against the competition in that talent row. We also tweaked the design of Master Demonologist, in order to solve some edge cases, and simplify and clarify its effects. Mastery: Master Demonologist has been slightly changed. It now passively increases all damage by 6% regardless of form. While in Metamorphosis, it further increases the damage of Touch of Chaos, Chaos Wave, Doom, Immolation Aura, and Soul Fire while by 12%. Demon pets controlled by Demonology Warlocks now deal 20% more damage. Grimoire of Sacrifice is no longer available to Demonology Warlocks and has a new talent, Grimoire of Synergy in its place. Grimoire of Synergy: When the Warlock or their demon deals damage, there is a chance to trigger Demonic Synergy, granting the other one 15% increased damage for 15 seconds. Decimation’s effects have been merged into baseline Soul Fire and Shadow Bolt. Other than the changes listed above, Destro seems to have escaped with no other changes. Mostly. The third talent in this row, Harvest Life, has been replaced with a new talent called Searing Flames for Destruction Warlocks. Searing Flames reduces Ember Tap’s Burning Ember cost by 50%, and increases its healing by 50%. Demonic Breath is dead and it’s replaced by the Mists ability, Howl of Terror. Grimoire of Sacrifice is no longer available to Demonology Warlocks and has a new talent, Grimoire of Synergy in its place. Destro and Aff both still have Sacrifice. Affliction: Soulburn: Haunt grants Soulburn to your Haunt spell, causing it to provide 20% increased damage to your periodic effects for 30 seconds. Demonology: DemonBolt: Launch of ball of demonic energy at the target, dealing Chaos damage. Each Demonbolt amplifies further Demonbolts, each increasing damage by 20% and cost by 100% for 1 min (reduced by Haste,) stacking up to 10 times. Destruction: “Charred Remains.” Your Incinerate and Conflagrate do 75% 60%less damage, but generate 200% more Burning Embers. Is that a good trade? Fire and Brimstone can now also affect Chaos Bolt. 2nd talent: Cataclysm: All specs. Create a Cataclysm at the target location, doing shadowflame damage to all targets within 8 yards. Seems like the Go To talent here for everyone who likes to blow things up. Corruption or Immolate are also applied. 1 min cooldown. 3rd talent: Demonic Servitude: All specs. allows you control over your greater demons. You can now summon Doomguards or Infernals as permanent pets. Having one of these following you around will be rather cool. A nice new mechanic comingxx with Warlords is that you will automatically learn some glyphs as you level. You will be unable to buy these glyphs, as that would be redundant, and you will still need to install them. All the other glyphs can be picked up from cooperative scribes or the Auction House. At level 25, the following Glyphs are automatically learned by all Warlocks: Siphon Life, Drain Life, Demon Training, Ember Tap. Glyph of Dark Soul, Major – a 50% reduction to both the duration and the cooldown of Dark Soul. Glyph of Life Pact, Major – “Mana costs on all your spells are reduced by 30%, but Life Tap can no longer be cast, and your health will drop by 1% per sec. Your health cannot drop below 75% from this effect.” Is this going to be of any interest to anyone?? Maybe in places where health is not an issue and mana is? Glyph of Shadowflame, Major – Targets being damaged by your Hand of G‘s DOTs are now snared. Glyph of Strengthened Resolve, Major – Unending Resolve stops more damage, but has a longer cooldown. Glyph of Twilight Ward, Major – Your Twilight Ward now absorbs from all schools of magic. This will be interesting since Twilight Ward has been removed. Glyph of Metamorphosis, Minor – You grow demon wings instead of transforming into a demon. Perks are not abilities, there are no new abilities past level 90. Perks are enhancements to existing abilities, such as more damage to one ability or reduced cast time for another. You start “learning” them at 92 and will have all of them before level 100. They are also awarded randomly, so you and that other ‘lock of the same spec might get your perks in a different order. By the time you’re 100 you’ll both have the same perks. Early on in the WoD testing there were 9 perks for every spec, now there are four. We’ll have to see if it stays that way. Empowered Corruption: 2.5% greater chance to earn a soul shard. Enhanced Haunt: Your Haunt lasts for 2 more seconds. Improved Drain Soul: Drain Soul acts like an execute, draining 100% more when targets are below 20% health. Empowered Doom: +20% to crit. Enhanced Corruption: +1 Demonic Fury each time it does damage. Empowered Immolate: +100% initial damage on the target. Enhanced Chaos Bolt: Cast time slightly reduced. Enhanced Ember Tap: 20% better heal to your pet. Enhanced Havoc: 5 second faster cooldown. Not necessarily specific to Warlocks, but there are a few changes of note coming. Warlock PvP, other than Crowd Control, should be similar to what it was before. Resilience is dead and Battle Fatigue (reduced healing while in PvP) has been greatly reduced. Larger health pools, post item squish, will help with survival. CC will generally be a lot weaker, see above for the changes. Crits will do 150% damage, down from 200%. Items, stats, etc. will be “squished” across the board. For example, that Brilliant Primordial Ruby that you’ve been sticking in your red gem sockets now offers 10 Int, instead of 160. That 10 Int should count for about the same as the old 160 in the new scheme of things. All gear will be similarly reduced. Inventory improvements will help clean up your bags. 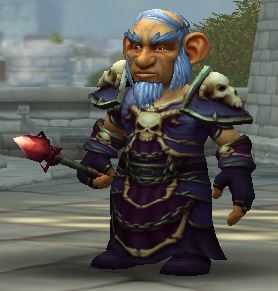 Questing improvements will help with leveling your ‘lock. You can see all of the official patch notes here. Any thoughts on how this will change things for you Warlock? Add you comment below or share this page on FB or G+ or other and comment there.